NIGERIA – Broken Manacles Entertainment, has announced the forthcoming premiere of their multiple award winning movie called: The TENANT™. The movie which was also written, produced, and directed by Jude Idada and Lucky Ejim, two Nigerian emigrants in Canada was shot at various locations in Canada and Nigeria with Dare ‘BabaDee’ Fasasi as co-director. § Best Feature Film – (Moving Image Film festival2008), Toronto Canada. 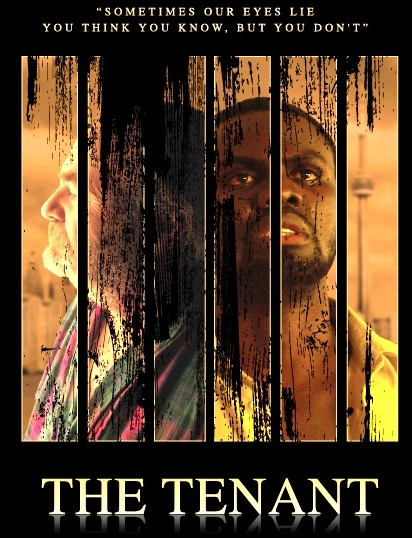 The movie billed to premiere in Lagos sometime in October, 2009 at the cinemas tells the tale of the average African emigrant in search of a better future for himself and his family: Obinna, a Nigerian refugee in Canada, faces deportation in 30 days. When all hope seems lost, a chance confrontation with Timothy, his terminally ill landlord, provides him an opportunity to remain in the country. Timothy who is a former immigration officer makes him a deal; he will intervene in his pending deportation if Obinna finds his estranged daughter Nicole and convinces her to see him one last time before he dies. With the clock ticking, Obinna fights to save his dreams, in the course of which he stumbles on a discovery that will shake the very foundations of his beliefs. The official premiere of The TENANT™ would be preceded by a screening of the movie to the media and the online blogging community on the 16th of October, 2009. The movie trailer and additional information about the TENANT™ movie are available at: www.thetenantmovie.com.